Earlier this month, the Disney Parks Blog celebrated the anniversary of The Twilight Zone Tower of Terror at Disney’s Hollywood Studios – but that wasn’t the only major attraction that debuted in the month of July. Rock ‘N’ Roller Coaster Starring Aerosmith was dedicated July 29, 1999, and officially opened July 30. 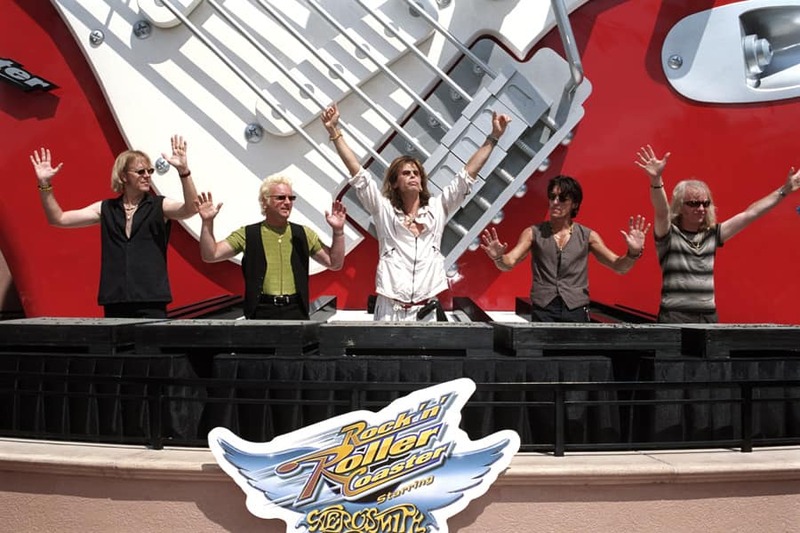 The attraction allows guests to step into the shoes of a rock band VIP, and travel from Aerosmith’s recording studio to the backstage area of their concert courtesy of a “super-stretch” limo. These vehicles are equipped with 120-125 speakers and 24 sub-woofers that provide an unforgettable soundtrack for the journey. Oh, and don’t worry about being late for the show – these “super-stretches” speed from 0-57 mph in 2.8 seconds. My partner and I rode Rock ‘n Roller Coaster for the first time 6 years ago. I love rollercoasters and he hates rollercoasters! After the ride as we were leaving, he yelled, “Let’s do that again!” He absolutely loves Rock ‘n Roller Coaster. I wish Disneyland would add this ride tho their parks. 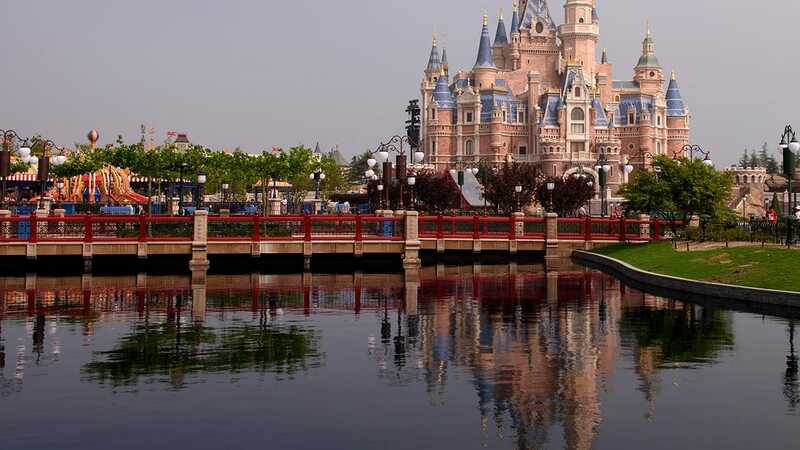 I rode it at Disney World in 2003 and I loved it but we go to Disneyland now because the weather is nicer and not so humid. I was JUST thinking about this ride yesterday when an Aerosmith song came on the radio. Is there anything more fun that that take off?! I love the Rock ‘N’ Roller coaster. I can’t wait to ride it again this year. In response to the comment about this ride being the Big Bad Wolf from Busch Gardens in Williamsburg,Va. I have to say that I don’t see how it possibly can be. We go there nearly every year and have actually ridden the Big Bad Wolf at Busch Gardens since the Rockin Roller Coaster opened in 1999. The Big Bad Wolf has closed in recent years but parts of it still remain. All other coasters at Busch Gardens are still working coasters so I can’t imagine that it’s a different one. Anyway, just wanted to help clarify. Aerosmith is the BEST PART of the attraction! Love them! I was terrified to go on this ride when I took my kids to WDW the first time in 2002, I was 37 and had to show I was brave for the kids. My husband said what is there to be scared of, we’re at Disney. We boarded and had the best time of our lives. I screamed like a little girl and when the ride was done grabbed my 2 boys and went right back in line. This is one of our all time must ride a few times rides at Disney. An who doesn’t love the boys from MA. When this coaster first came to Hollywood (MGM) Studios, it was apparently bought from Busch Gardens, VA and was ( I beleive) called the Big Bad Wolf there. Now, when we rode this at Busch Gardens we were talking to the people at the ride – who confirmed that it was sold to Disney. When we were at Disney after they added this coaster, a Cast Member confirmed that this was originally in Busch Gardens – but that modifications were made to the ride – to end up with what is in Hollywood Studios now. Being a Disney Annual Passholder, I have ridden this coaster more times than I can count, and have absolutely loved it every single time!! It’s always a “must do” when visiting any of the Disney parks. The Rock ‘N’ Roller Coaster has been and still is my favorite roller coaster ride!! Happy Anniversary!! My husband & I rode it the day it opened and it is one of our favorite coasters in the parks. This is one of the attractions we rarely miss and we are normally there once a year. My wife and I and our daughter and her husband won a contest on the local TV station to attend the opening night of the attraction in 1999. All the contest winners met at the local TV station in Tampa and we were all transported in stretch limos to the park. There was a parade of limos heading down the interstate. They came from all over central Florida with other contest winners. It was very impressive. When we got there we were led down a red carpet with all sorts of people cheering us like we were celebrities. There was a large tent set up with food and drink and Aerosmith was there. My wife rode the coaster with Steven Tyler. There was an event painter that did a large painting for the event that night and I believe that’s what the paint is on the groups hands above. It was an excellent experience. We still talk about it whenever we are at the park. Wow, what a cool memory! Fortunately, Aerosmith had Disney experience at the time, having just done their hit song for the movie “Armageddon”. I finally got a chance to ride this last weekend, and the people I was with said that the lighting inside was messed up. When I rode it, the ride was pitch black dark, but apparently there are supposed to be black lights lighting up the street signs which allow you to see which way you are about to go. Are these lights going to be fixed (or maybe they already are) because I’d like to go back and try it again with all the lights working. If I might ask, the handprints that they did on the dedication in the photo, where can you find them?